No. 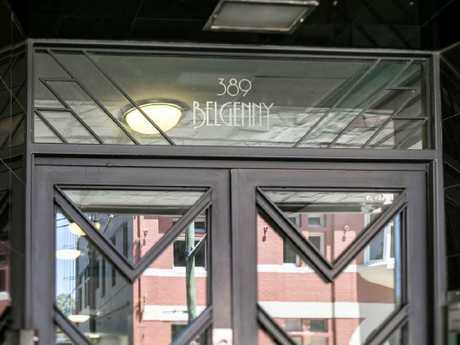 203/389-393 Bourke St in Surry Hills is on the market for just $185,000. 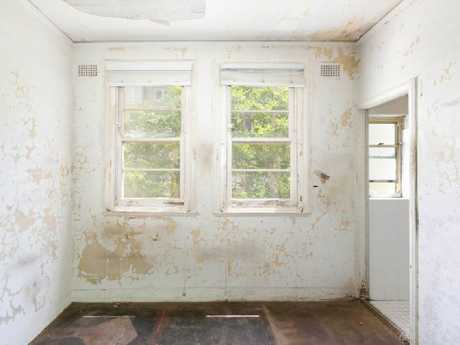 Could this be Sydney’s cheapest property? 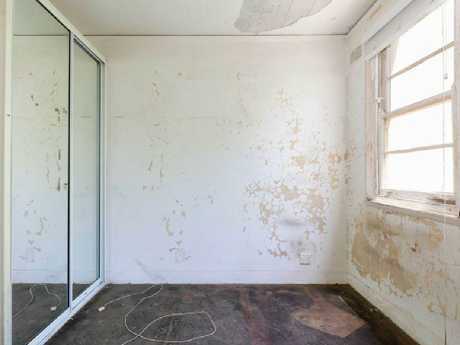 THIS rundown studio in Surry Hills could be yours for just $185,000, making it the cheapest home in Sydney. 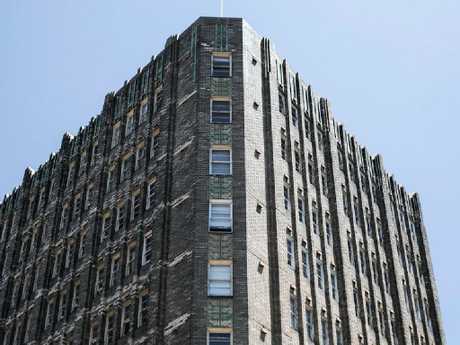 Located on Bourke St, the 12 sqm bedsit in the Art Deco Belgenny complex is right on the edge of Taylor Square and is perfect for someone looking for an inner city crash pad to renovate. 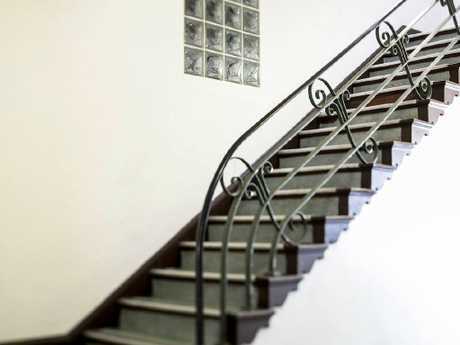 Up the old Art Deco-style stairs. The studio needs some work but is in a great location. 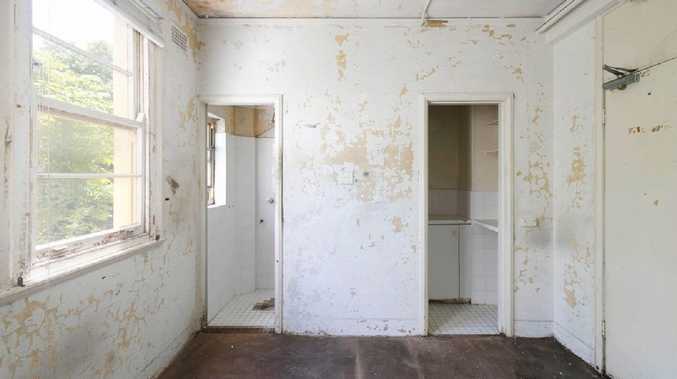 The interiors are dated with paint peeling off the wall and bare flooring, but there is a built-in wardrobe and the bones of the bathroom and kitchenette can be easily transformed. The low price is amazing value for the suburb, with the median price for a unit in Surry Hills at $862,500, according to CoreLogic data. It is in the Belgenny complex. Two north-facing windows provide views of over the rear lane and of nearby trees, while building levies are just $533 per quarter. The apartment is in an incredible inner city location. Secure entry to the building, a lift, rear-lane access and a shared laundry are just some of the other features. 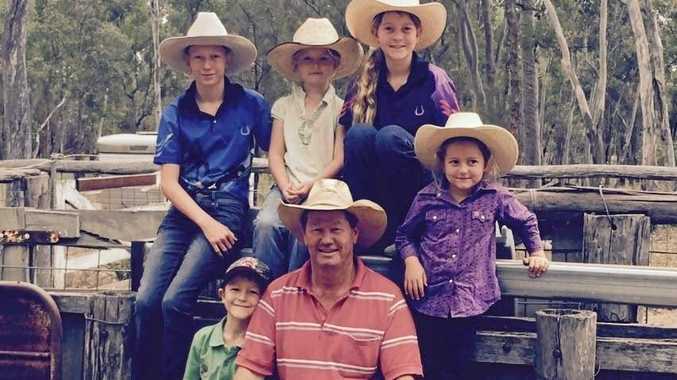 It is listed with Gavin Brightwell of BresicWhitney-Darlinghurst. It even has a built-in wardrobe.